Komori Corporation (Sumida-ku, Tokyo; President, Representative Director and COO: Satoshi Mochida) announced the addition of the Apressia MB series blanking system to the Apressia series postpress brand, and sales of the Apressia MB110E will begin early next year. The following is an outline. 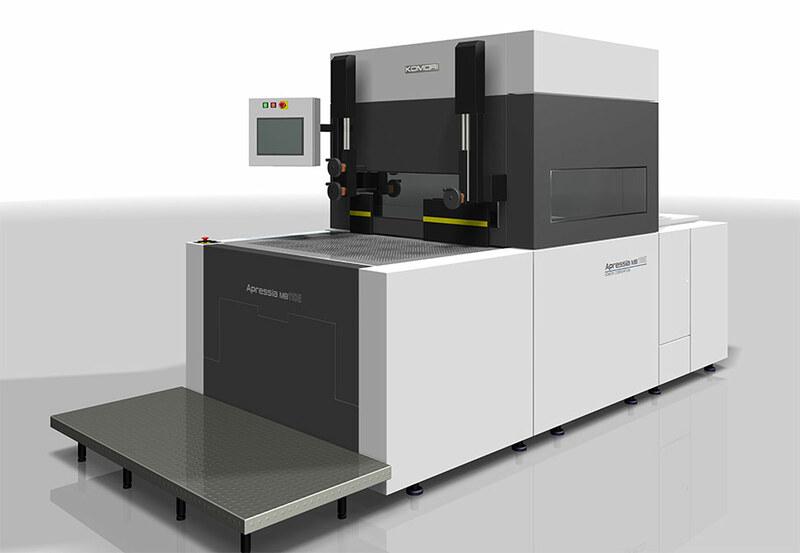 The Apressia MB series blanking system will be added to the Apressia series postpress brand, and sales of the Apressia MB110E will begin early next year. For the development of the Apressia MB series, Komori created a strategic partnership for blanking systems with Laserck Corporation (Yao City, Osaka; President and Representative Director: Takeshi Yanagimoto) and concluded an OEM agreement. The postpress products in the Apressia series brand of printing-related equipment will thereby be further strengthened. The Apressia MB series are machines that separate the product part and the non-product part (scrap) following die cutting. By having the machine perform the many tearing off (blanking) processes needed in manual work, blanking of up to about 200 sheets at a time in one job is possible. By this, laborsaving in the tearing off process, a repeated operation that nevertheless requires skill, can be achieved, and a production plan can be easily set up by stabilizing production. Using an Apressia MB machine in the production of paper packages also improves packaging hygiene since there is no direct touching of the product by human hands. The package production plant can be kept clean at all times because the recovery of non-product parts is automated by machinery. In addition, the Apressia MB is compatible with the Komori KP-Connect Solution Cloud and enables production control and greater efficiency throughout the entire production process. The Apressia MB series lineup is shown below. Sales will begin in order starting with the Apressia MB110E.